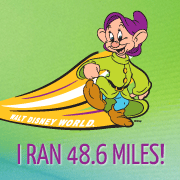 Today marks 3 months until Walt Disney World Marathon weekend – otherwise known as the start of my next challenge…to cover 42.4 miles in 3 days! Love this graphic, so I figured I’d share it again! To really kick of my Dopey training I figured I’d do a “half Dopey” this weekend – 1.55 miles today (Thursday), 6.55 miles tomorrow (Friday) and 13.1 miles on Sunday (that math is correct, right?!?)! Over the next 3 months I’ll continue to slowly increase my mileage incorporating back to back mid to long distance runs until I get to back to back 10 and 20 milers. Well, I convinced myself (with the support of my family) to show up at the starting line…and I made it to the finish line! Today, Dopey training officially begins! P.S. 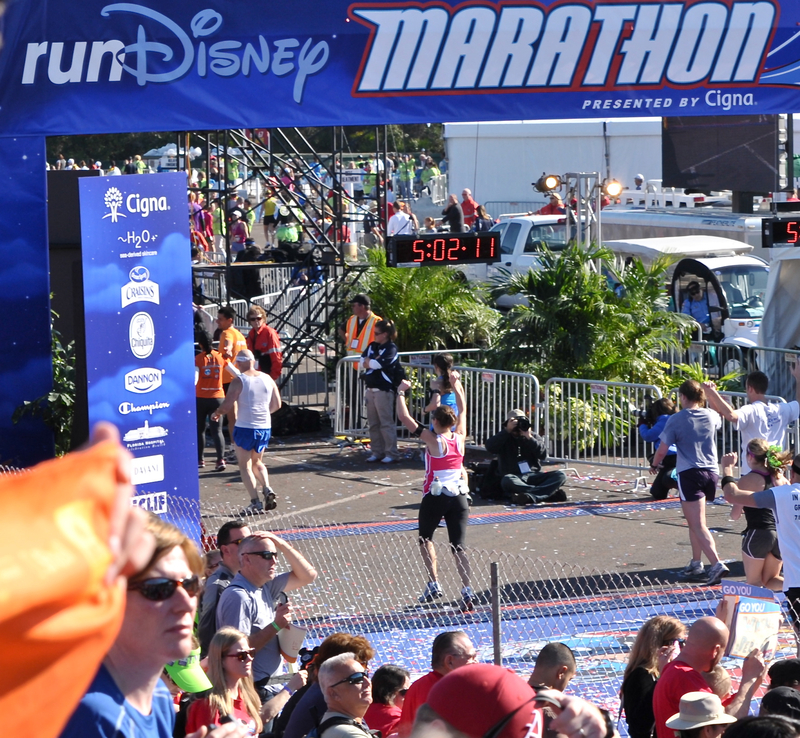 yesterday was 1 month until the Wine & Dine Half Marathon, can’t wait, I had such a great time last year! Have fun on this journey …. You are amazing !! I so look forward to your blogs !!! Thanks so much Jeannie, I’m nervous about putting so much stress on my body over the next few months, but I’m going to try to be very aware of when I need to rein it in and take a break…hopefully it works out! Good luck with your training also, I’m sure it will be an amazing experience! Yay yay yay! This is all so exciting. I’m really glad you’re going with the Dopey, and I’m curious to see how your training comes together. Any thoughts yet on how far in advance you’ll start to taper? According to the plan I laid out for myself (which is basically the Galloway plan on the runDisney site with some adjustments to take in to account my schedule) my last long run will be December 22nd and then I’ll taper for the 3 weeks leading up to Marathon Weekend. Oh my gosh! How exciting!! 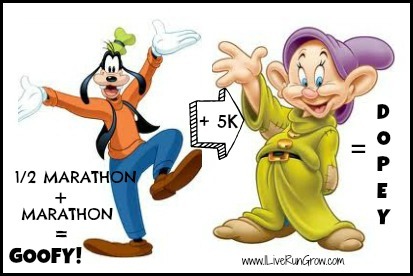 I’m super intimidated by a marathon, let alone one that follows a half and a 5K!! But the medals look awesome. I’ll be following your training progress. I figure I have to give it a shot! I never thought I’d be able to run a marathon and I did that, so I figured a new challenge was in order! I’m a little nervous about the timing though with doing my yoga teacher training at the same time, I’m sore all the time and it’s making my running a lot harder!